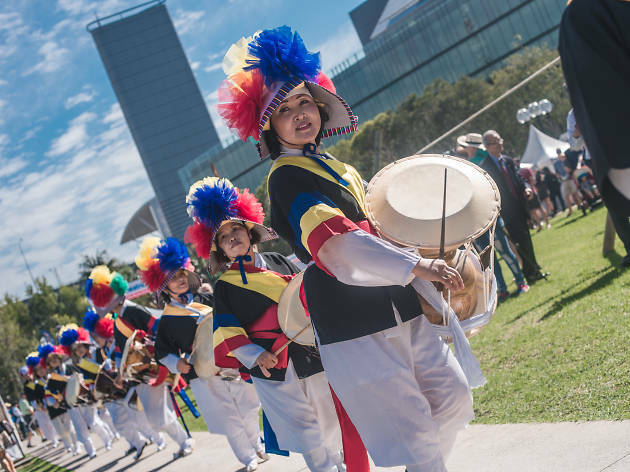 On April 6, another colourful community festival is taking over Tumbalong Park. This time, it’ll be one huge day celebrating Korean culture. You’ll be spending Saturday watching theatrical live performances. 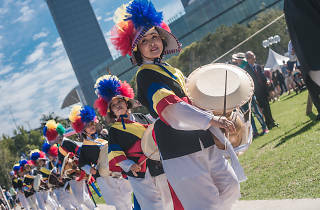 See traditional Korean drummers and dancers alongside contemporary music troupes – there’ll be a kind of battle of the bands happening between B-boy and K-pop groups. Then, perfect your axe kick and double roundhouse as you observe taekwondo masters in the stage demonstrations. The festival is now in its 8th year, and to bring a little extra spice to the regular performances and demos, they’ll be adding a kimchi eating competition into the throng of events. We’re not certain if it’ll be based on speed, quantity or style, but it’s sure to be a zingy experience and there’s a $300 prize awarded to the top eater (along with all the gut-friendly glory).